Providing an authoritative voice in the industry Karstedt Partners is driving industry understanding and actionable intelligence to allow the digital corrugated packaging and display markets to adopt and grow its burgeoning digital printing component. Through their twice-yearly bench marking methodology of surveying over 70 percent of the installed base of digital capacity this study will shed light on information and trends that can be brought to light only through such a comprehensive plan. At 14 billion square feet, digital is a small slice of overall market volume. However, production threshold digital printing is just entering the market in the form of single pass technology. Initial investment is typically pursued and justified based on current work (low hanging fruit) that can be transferred to a digital press. 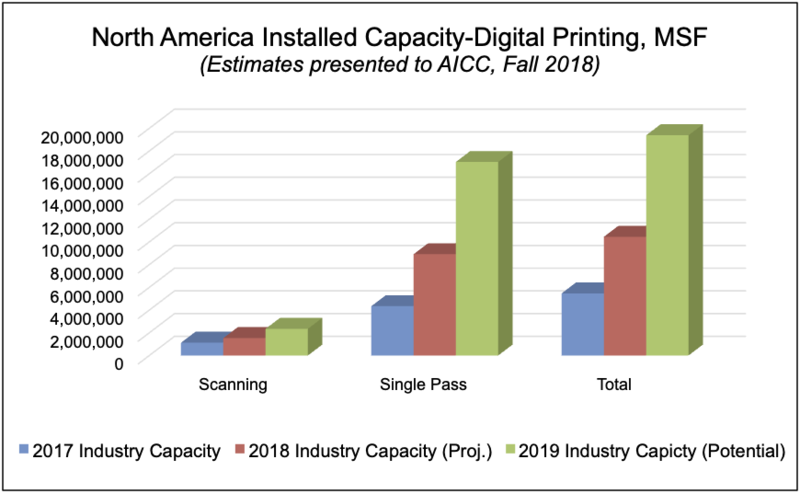 Depending on assumptions made, the 14 billion square feet of installed capacity can penetrate 50% to 150% of the estimated industry demand for “low hanging fruit”. Digital growth beyond the “low hanging fruit” will materialize. The development of this “discreet digital market” requires active selling and will take time to develop. The benchmarking report series will be disseminated to participating companies and supporting subscribers on a bi-annual basis. It will provide near real-time data and guidance to converters, technology developers, and suppliers to assist in future/current strategy, better visibility to changing market/technology/product enhancements and developments, and key benchmarking data enabling day-to-day improvement of current operations.